The festive spirits are high and so is the bubbling enthusiasm. Going out is so much fun these days with lights and lamps lit everywhere. I wish this Diwali brings happiness and prosperity to each one of you. Collegedunia.com is a wholly owned product of Collegedunia Web Pvt.Ltd. based in New Dehli. The website has been created with a vision to empowering students with knowledge so that they make wiser decision while choosing their carrer and alma-mater. Collegedunia.com is an extensive search engine for students,parents and education industry. 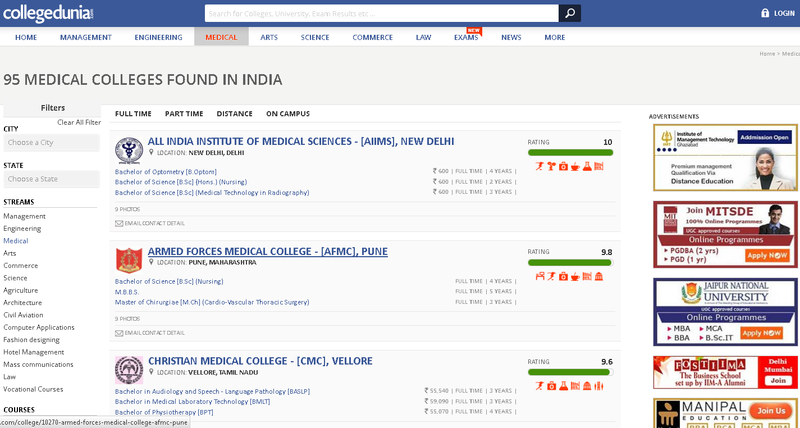 Students can use Collegedunia.com as one stop destination to search about their dream college, available courses, admission process and lots more interactive tools to simplify the process of finding alma-mater. 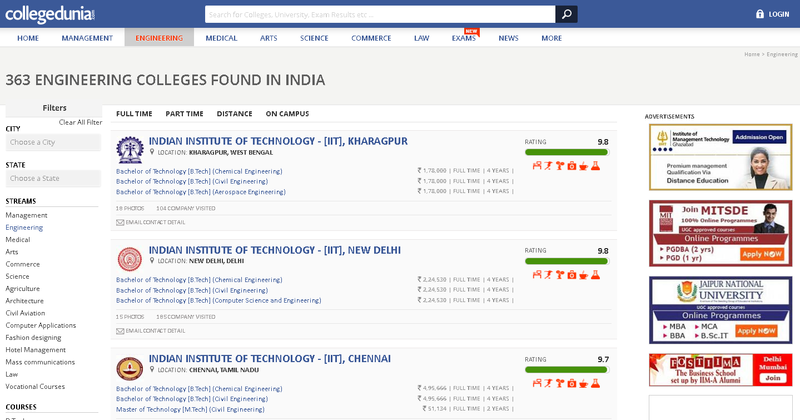 The website has the repository of more than 20,000 colleges and 6000 courses categorized in different streams like Management, Engineering, Medical, Arts and much more. 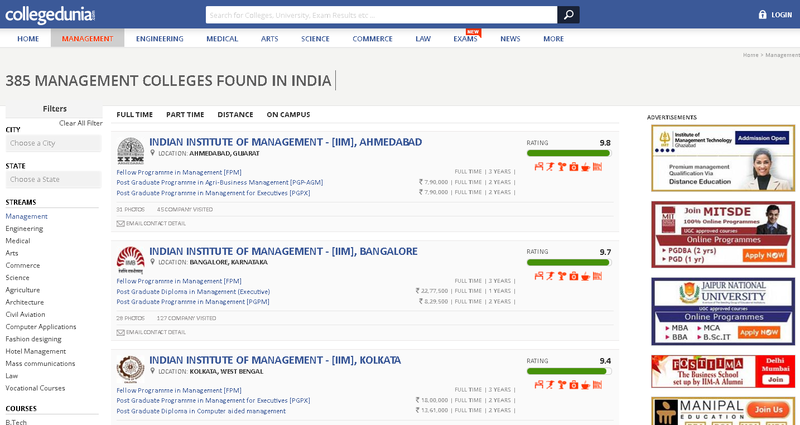 One can classify colleges on the basis of location, ranking, ratings, fees and cutoff for different competitive exams. The website preferable addresses the concerns of parents looking for an ideal institute for their wards. It provides a multichannel filter page which sorts data on the basis of ranking, fees and cutoff. We have a highly skilled team of data miners who can present data in the most interactive allowing you to make decisions in the most informative way. Collegedunia.com provides a non-conventional platform which focuses on delivering quality leads to enable them for collecting highly motivated candidates. The algorithm for data segregation in the website allows us to segregate the data up to multiple levels, providing an edge to the clients looking for highly specific and active database. The user interface of the website is truly praise worthy. The various streams,colleges and courses available are well segregated. And that's not all..Collegedunia.com also provides you with the latest news regarding competitions and openings with the fee structure and the eligibility criteria. I personally think collegedunia makes choosing a course/stream/college a lot more easier than what it was in its absence...Way to Go!! !